At The Compass School, the Reggio Emilia approach guides us on our mission to provide a safe and nurturing environment that promotes knowledge and inspires a life-long love of learning. What does it mean to be Reggio-inspired? At its core, Reggio Emilia is guided by a handful of fundamental concepts that separate it from other early childhood educational philosophies, such as the Waldorf or Montessori philosophies, though each focus on the education of the whole child. One of the biggest differences between Reggio Emilia, Waldorf, and Montessori isn’t just the guiding principles, but rather, the environment that produced the foundations of each. For instance, the Reggio approach isn’t a linear and predetermined curricular progression, and there are no international training courses to become a Reggio teacher. In fact, if a school is located outside of the Reggio Emilia region in Italy then they are referred to as Reggio-inspired, as we are at The Compass School. Recreating a similar Reggio style then takes careful consideration of how both learning methods, environmental aspects, and relationships interact together to form the basis of the philosophy. As such, there are key elements of the philosophy to which a school must adhere to be a Reggio-inspired school. 1)Children are capable to construct their own learning. In Reggio Emilia, children are the main initiators of the learning process. They are inspired by their own interest to know and learn, and as such they are endowed with a uniquely individualistic understanding of how to construct learning on their own. In other words, children should be treated as active collaborators in their education, as opposed to passive observers. 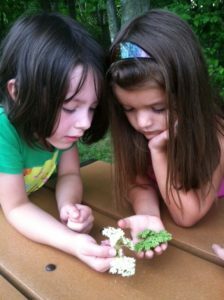 2)Children are collaborators and learn through interaction within their communities. Learning is based on interrelationships – not just within Reggio Emilia but across all spectrums of learning; however, in Reggio Emilia there is a close interaction between teachers, parents, and children. As indicated by the first principle, children are collaborators and work best when included in a community as opposed to working independently. Therefore, Reggio Emilia places an emphasis on working in small groups, which is based on the idea that we form ourselves through interaction with peers, adults, and the world around us. 3)Children are natural communicators and should be encouraged to express themselves however they feel they can. One of the most profound aspects of Reggio Emilia is known as The Hundred Languages of Children, written by the founder of the philosophy Loris Malaguzzi. The concept of The Hundred Languages is that children are natural communicators, and thus should be encouraged to communicate through whatever means they can. This may include words, movement, drawings, paintings, buildings, sculptures, and more. Because of the many ways that children express, discover, and learn, children should be encouraged to use many materials for discovery, communication, and even demonstration of what they understand, wonder, question, feel, or imagine. It is then, conversely, the teacher’s responsibility to facilitate the exploration of a child’s surroundings. 4)The classroom environment acts as the third teacher. One of the most powerful and important components of incorporating a Reggio-style philosophy into a classroom environment is to ensure that the classroom acts as a “living organism, a place of shared relationships among the children, the teachers, the parents, and a feeling of belonging in a world that is alive, welcoming, and authentic.” Because the classroom acts as a living organism, it is one of the more critical components in the Reggio philosophy. Classrooms and common spaces are carefully integrated with one another, as well as with the outside community. Classrooms also use natural furnishing to encourage real-life interactions. 5)Teachers are partners, nurturers, and guides who help facilitate the exploration of children’s interests as they work on short and long-term projects. In the Reggio Emilia philosophy, teachers are partners in the learning process. They are expected to be the ones who guide experiences, open-ended discovery, and problem solving. The main goal for the teacher is to listen and observe the children, as well as question and listen for opportunities to encourage further exploration of a child’s interests. Children and teachers are expected to collaborate, but it’s the responsibility of the teacher to identify when a concept can be used to further discovery and learning. As a mentor, it also means that teachers are not planning projects or learning points in advance – they’re allowing projects to emerge based on the interests of the children. 6)Documentation is a critical component of communication. Teachers, in addition to playing the role of a guide, are also responsible for documenting the learning process within the classroom and transcribing the verbal language used by children. Teachers may take photos and even videos to better understand the children and assist parents in becoming more aware of what their child is doing. Documentation also provides teachers an opportunity to evaluate their own work and exchange ideas with others. Moreover, documentation demonstrates to children that their work is of value. Through documentation, a child may finish their preschool experience at a Reggio Emilia child care center with a portfolio of projects, pictures, photos, scripts, and quotes that they make take great pride in, as it represents the steps they’ve made throughout their education. 7)Parents are partners in education. Reggio Emilia sees parental participation in their child’s education as a critical component of the learning philosophy. It may take form in many ways, but parents should always be invited to play an active role in their child’s learning experiences as well as help to ensure the welfare of the children in the community around them. Parents, both their skills and ideas, are very valuable in every Reggio community. Teachers in Reggio-inspired programs even recognize and respect parents as a child’s true primary teacher, and educators are positioned as advocates and learners alongside the children, also known as “the second teacher.” Parental involvement is critical to the creation of a learning community for children. Interested in learning more about the Reggio Emilia educational philosophy? Read our blog for more information on what differentiates Reggio Emilia from other programs, or contact us today for more information!